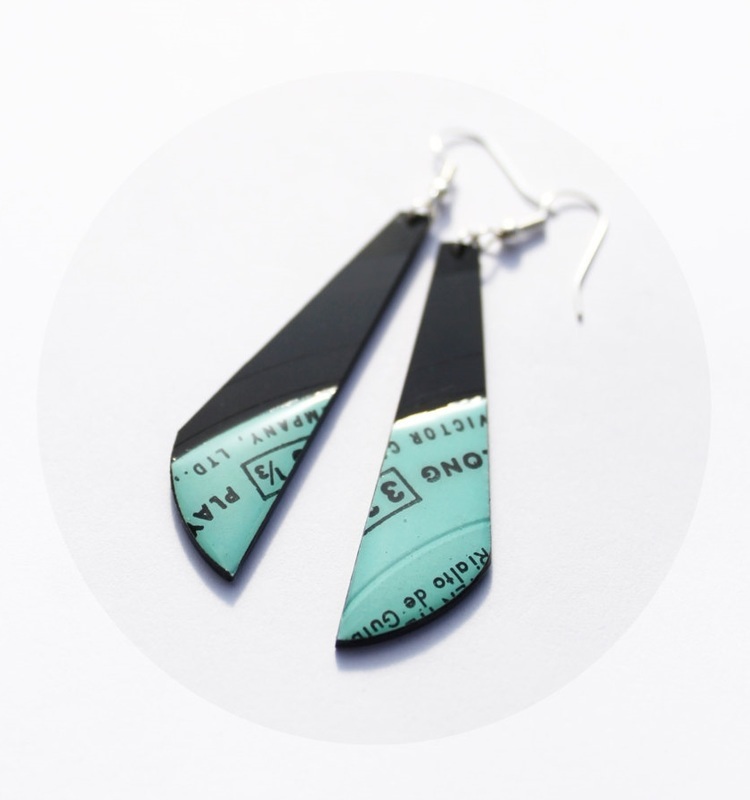 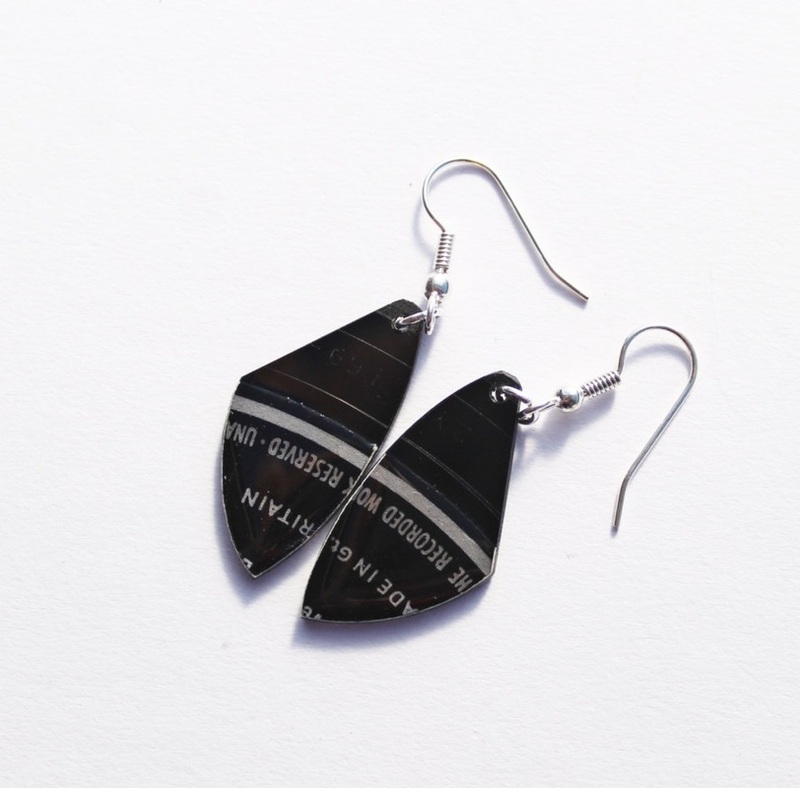 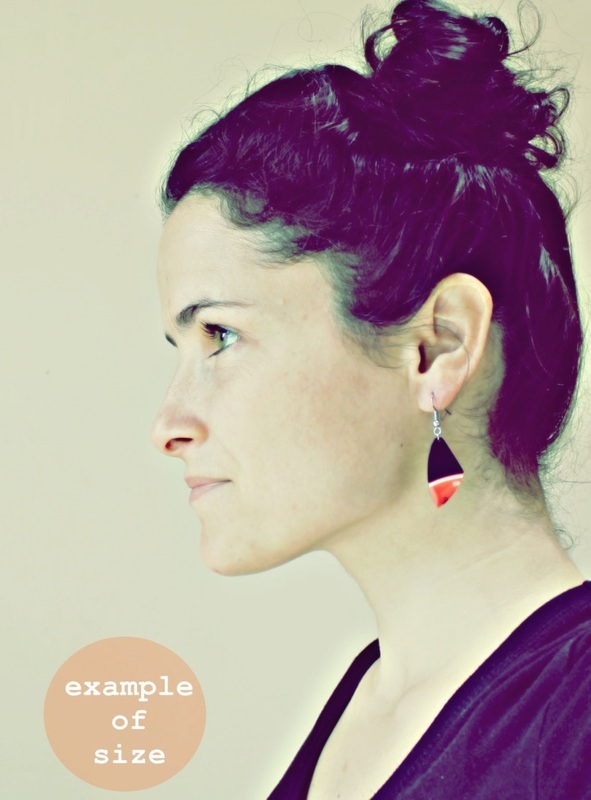 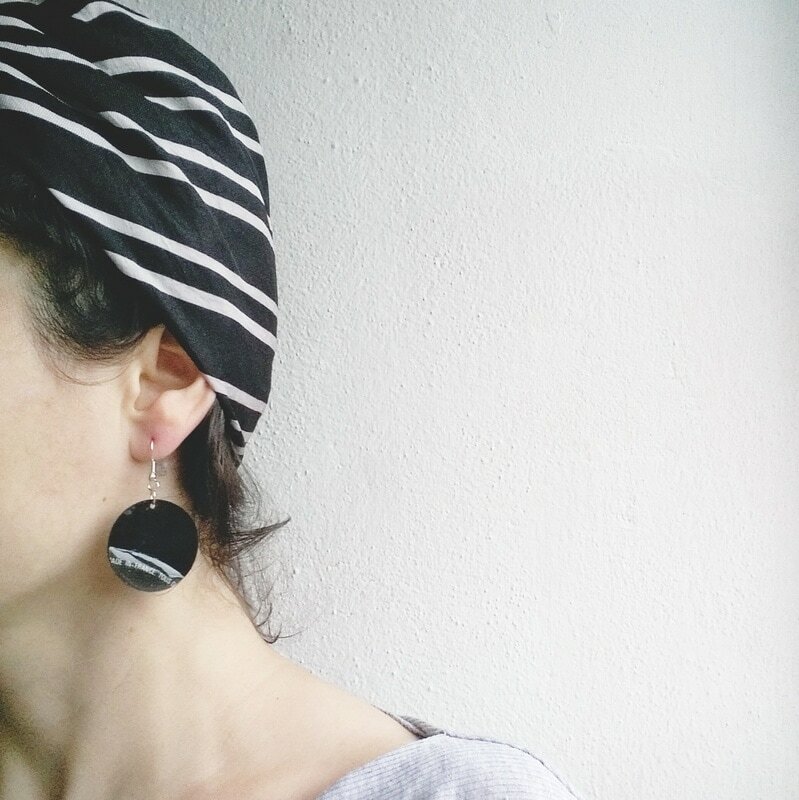 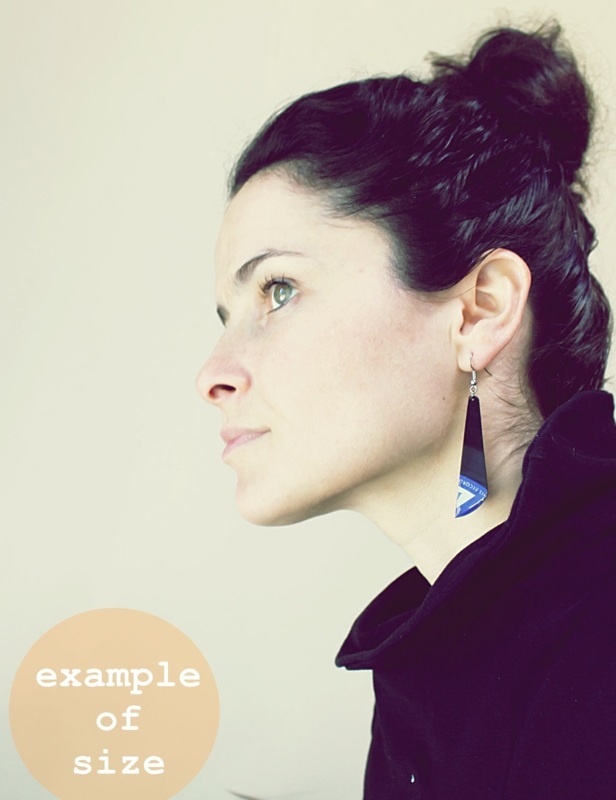 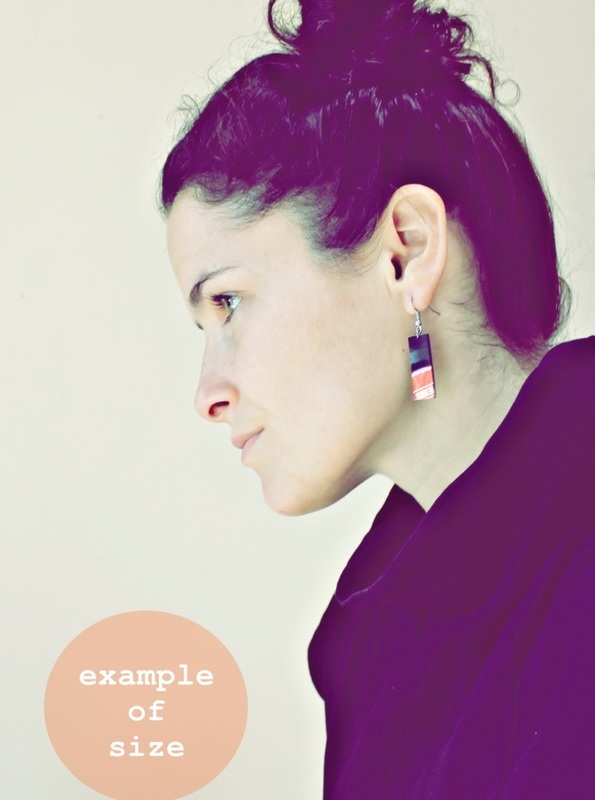 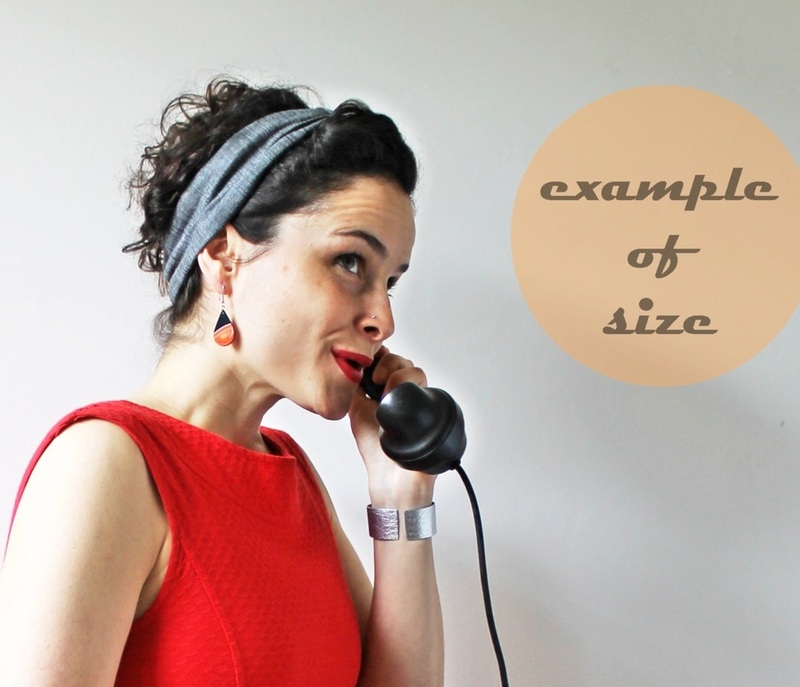 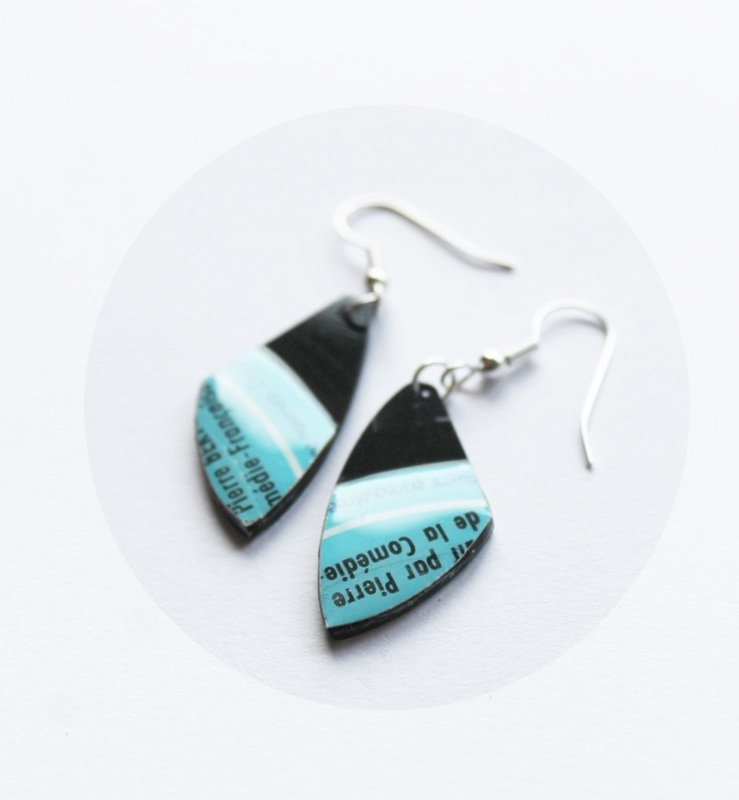 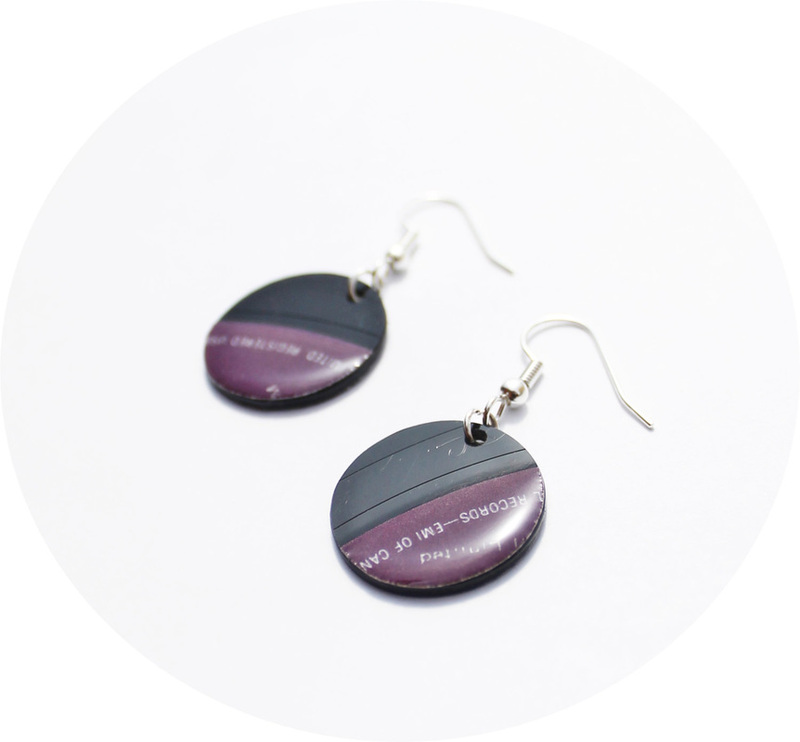 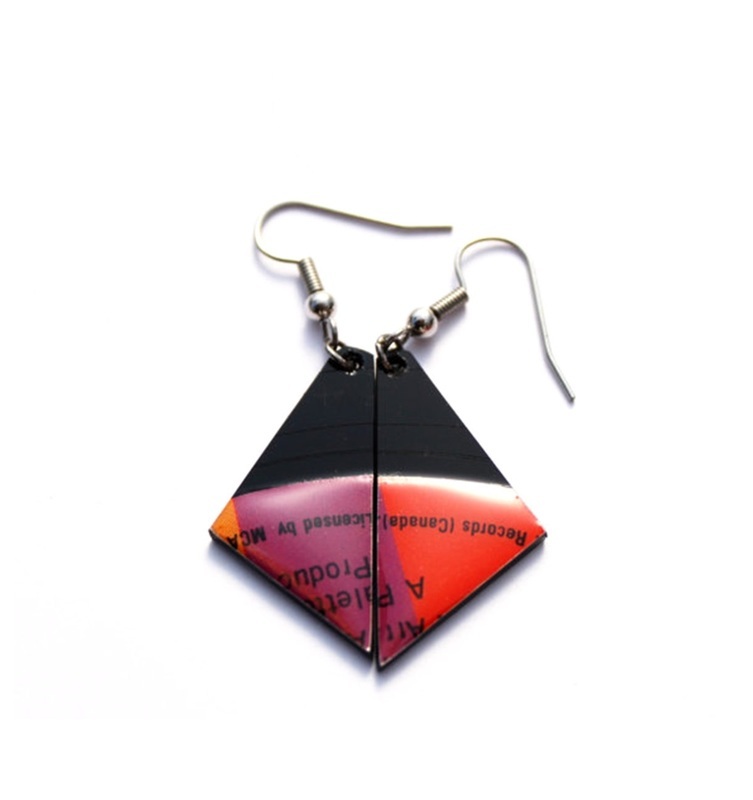 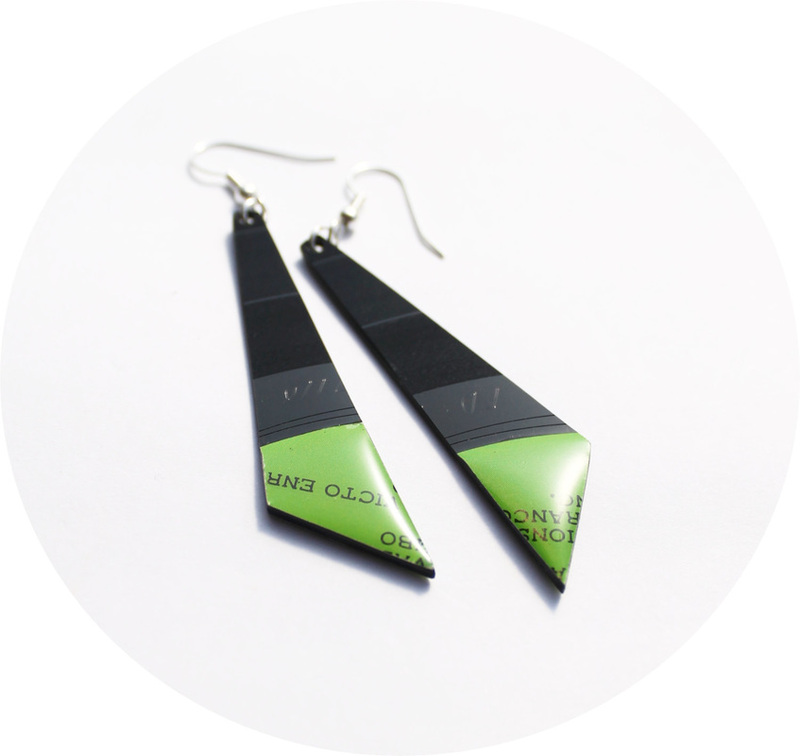 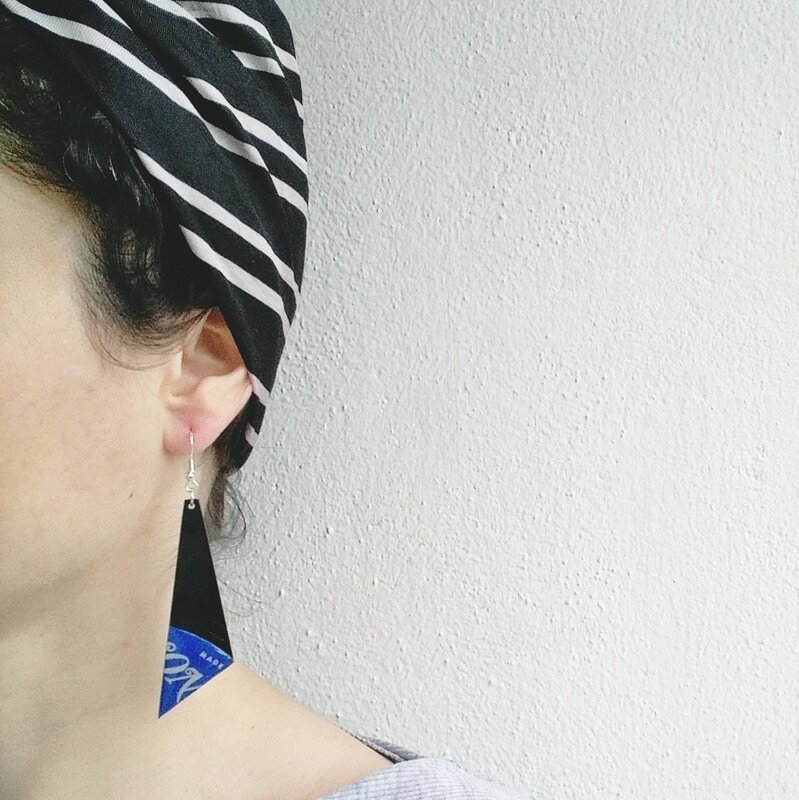 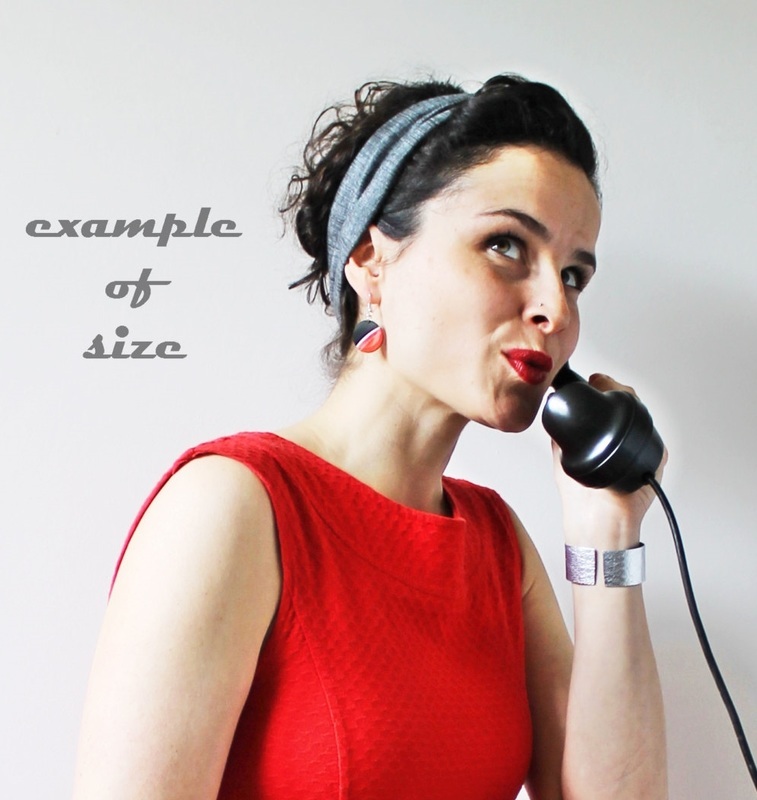 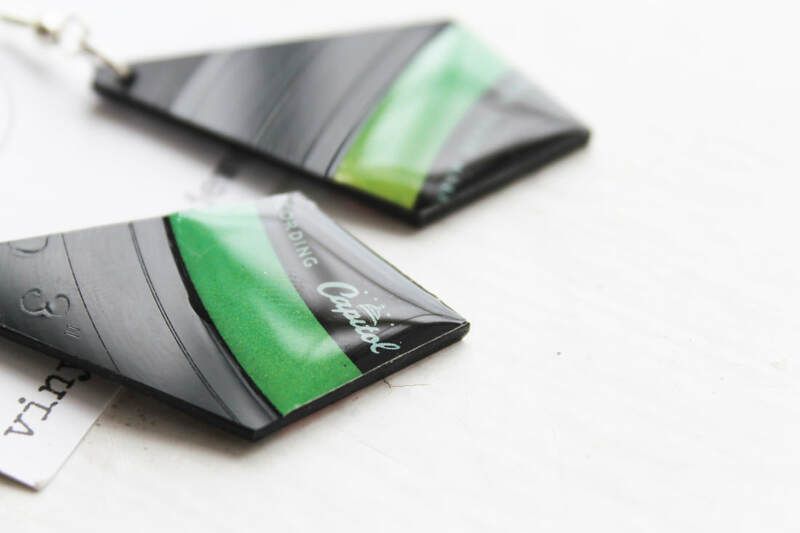 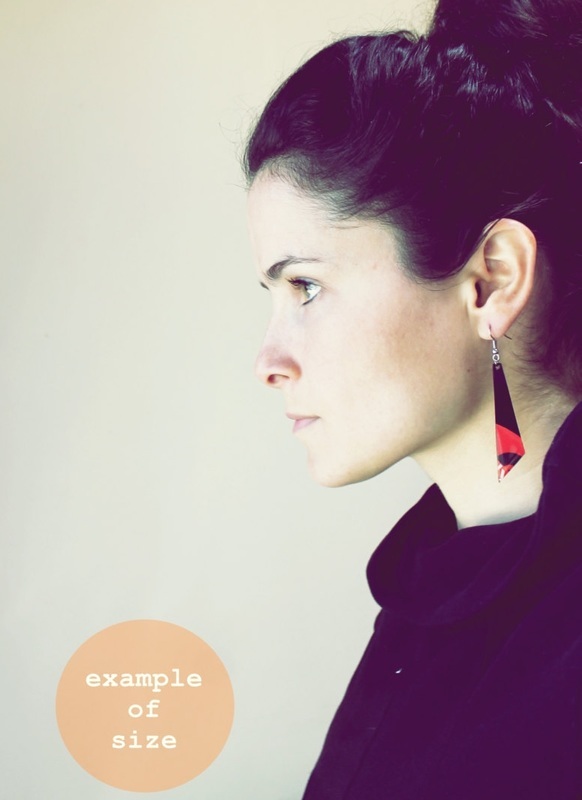 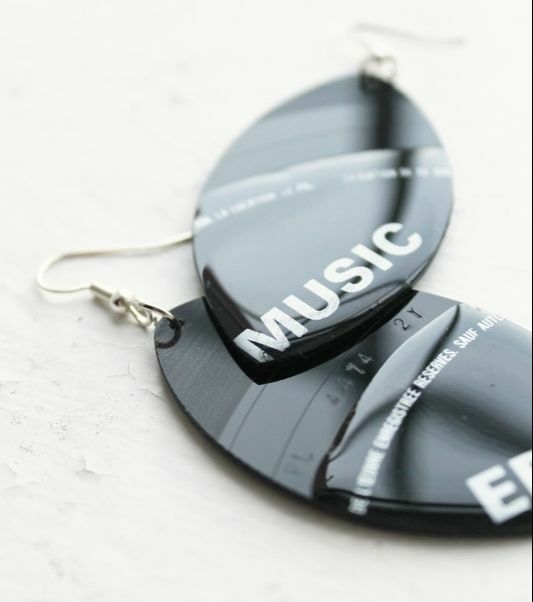 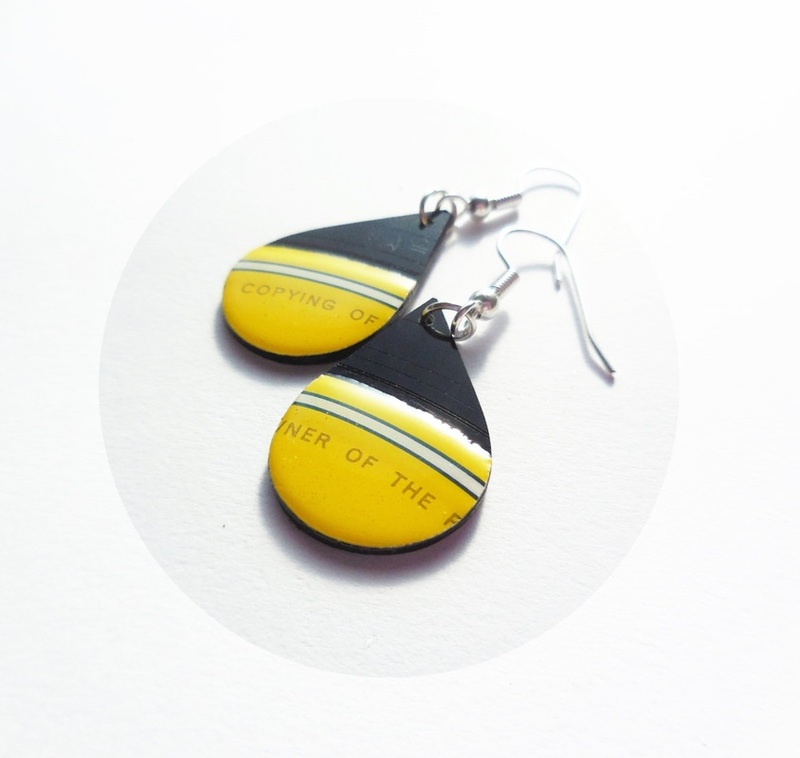 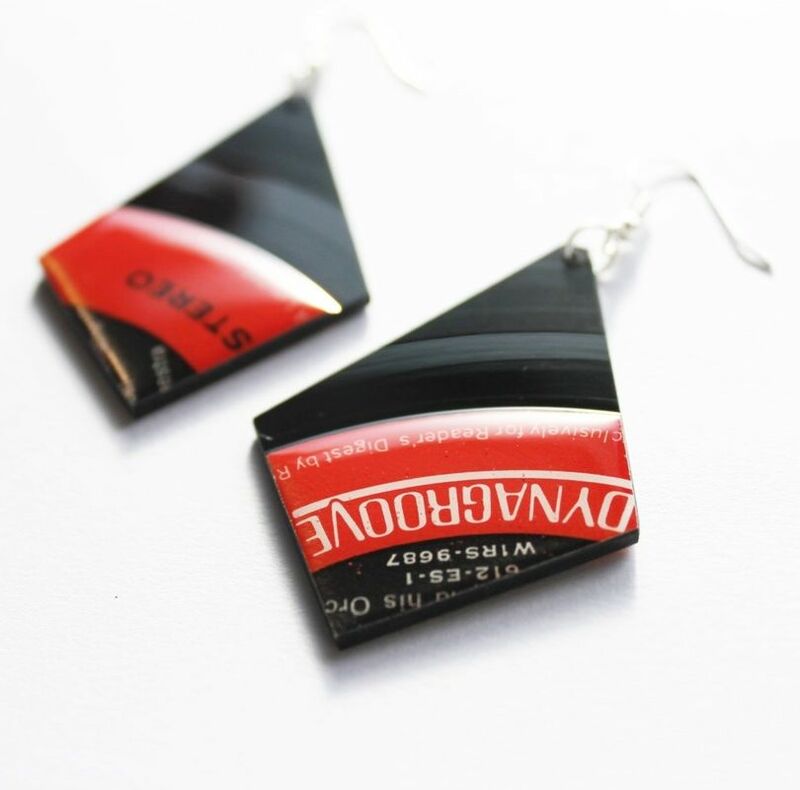 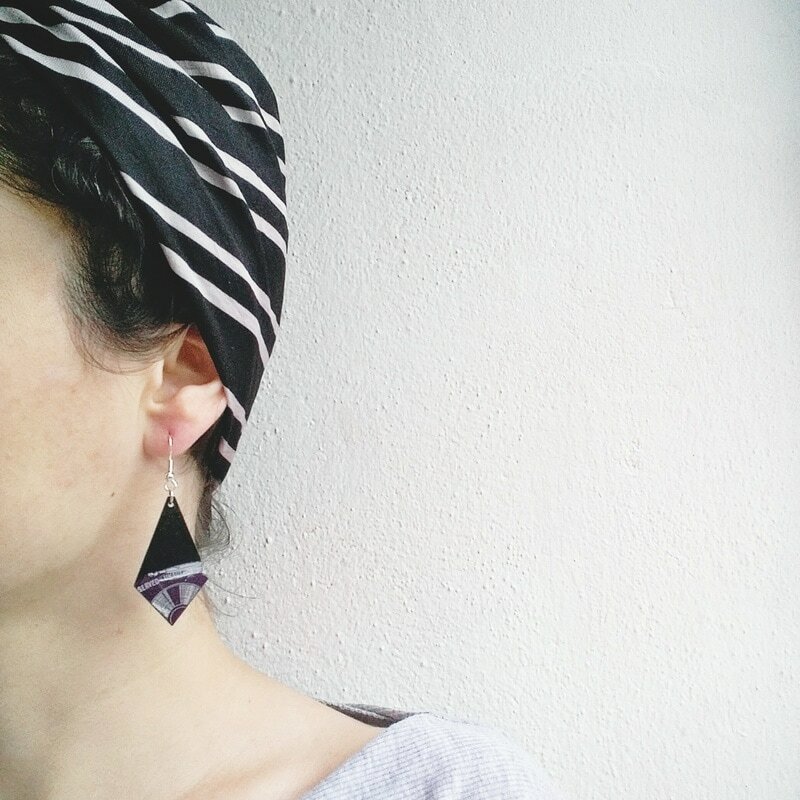 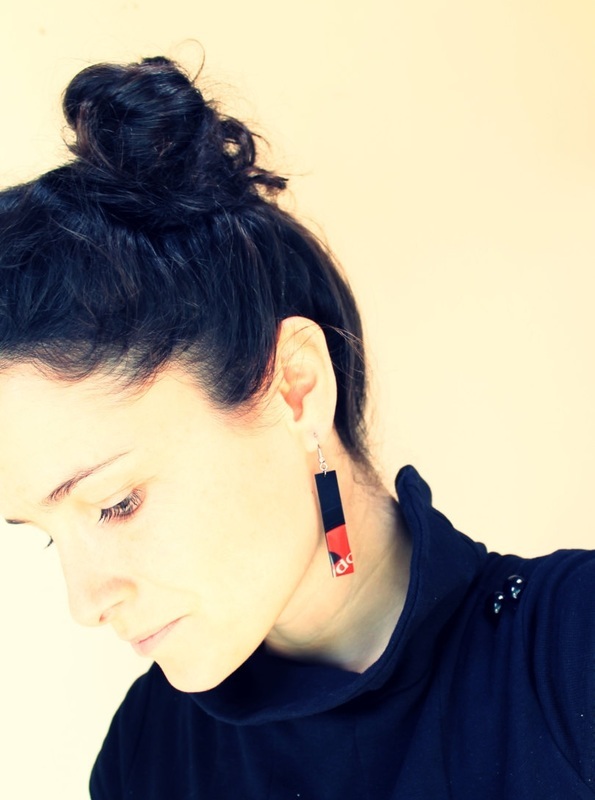 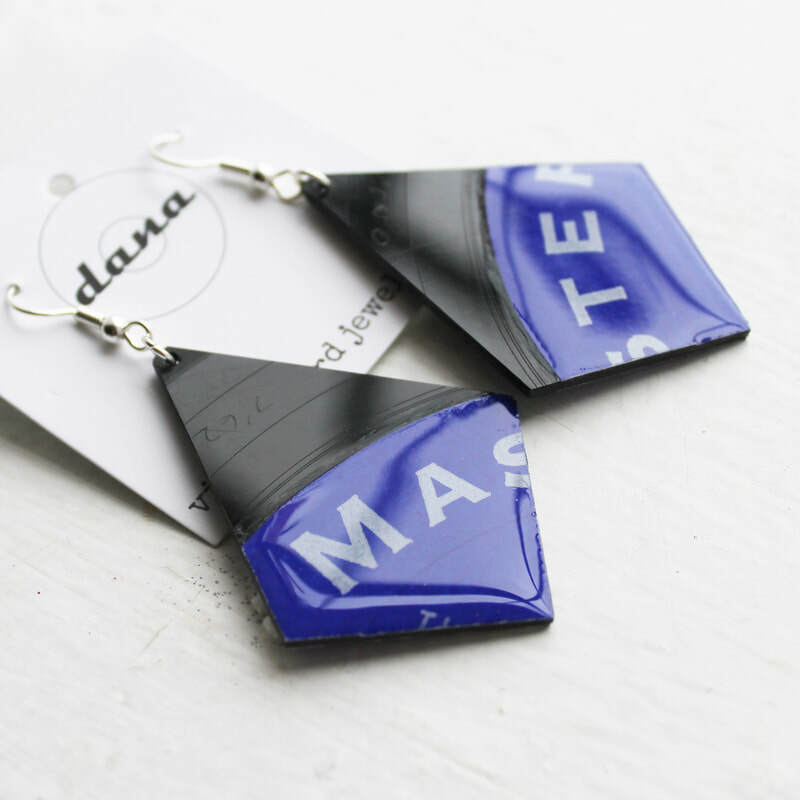 ▷ I individually handcraft each pair of earrings from recycled vinyl records. 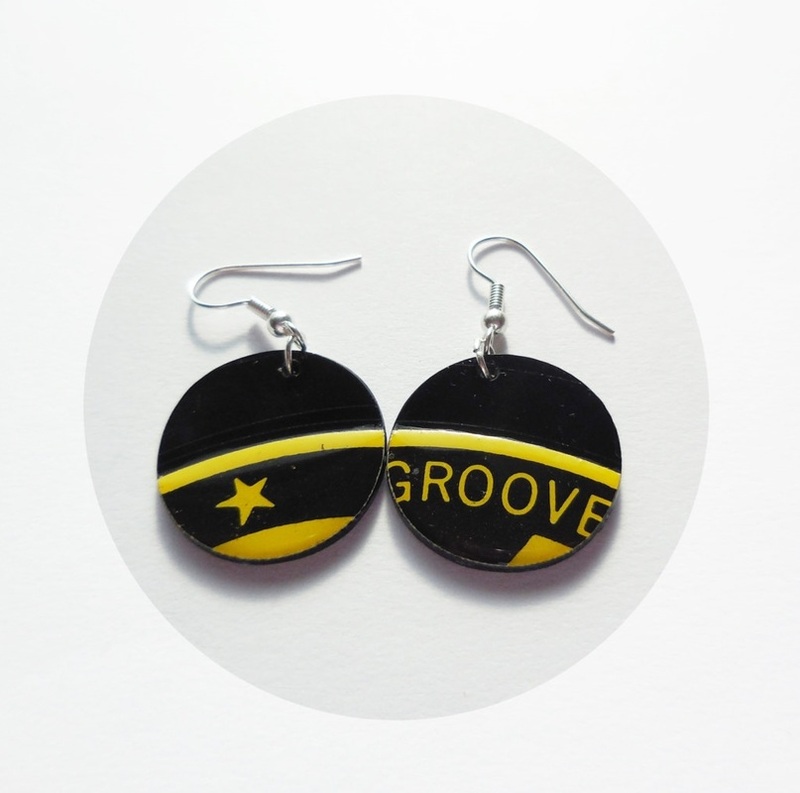 Each pair features some of the record label and is therefore one of a kind. 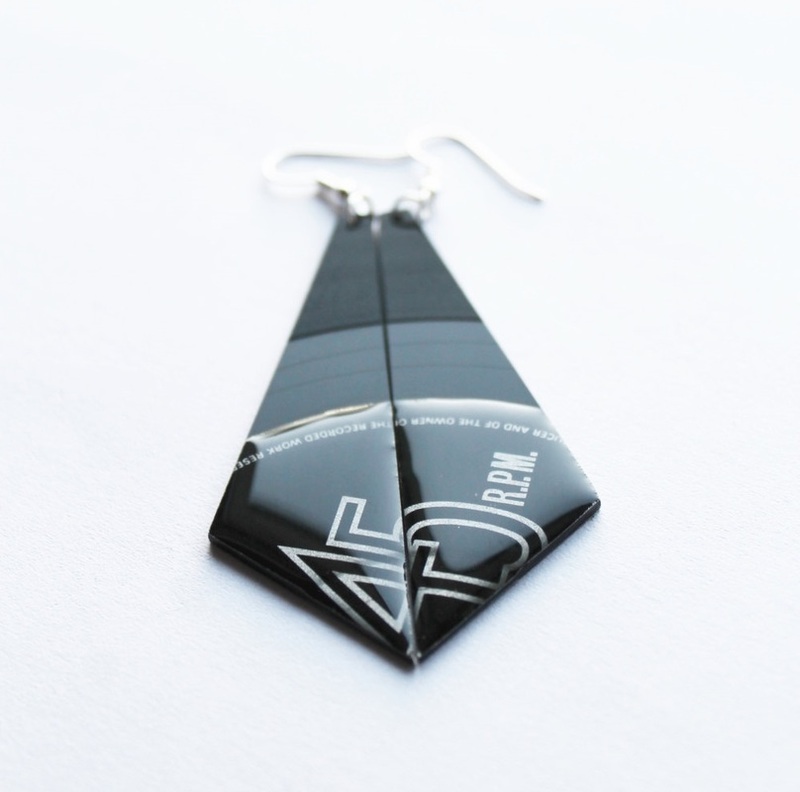 The earrings come in a variety of shapes but what appears on the label parts will be different from one piece to another, making them absolutely unique. 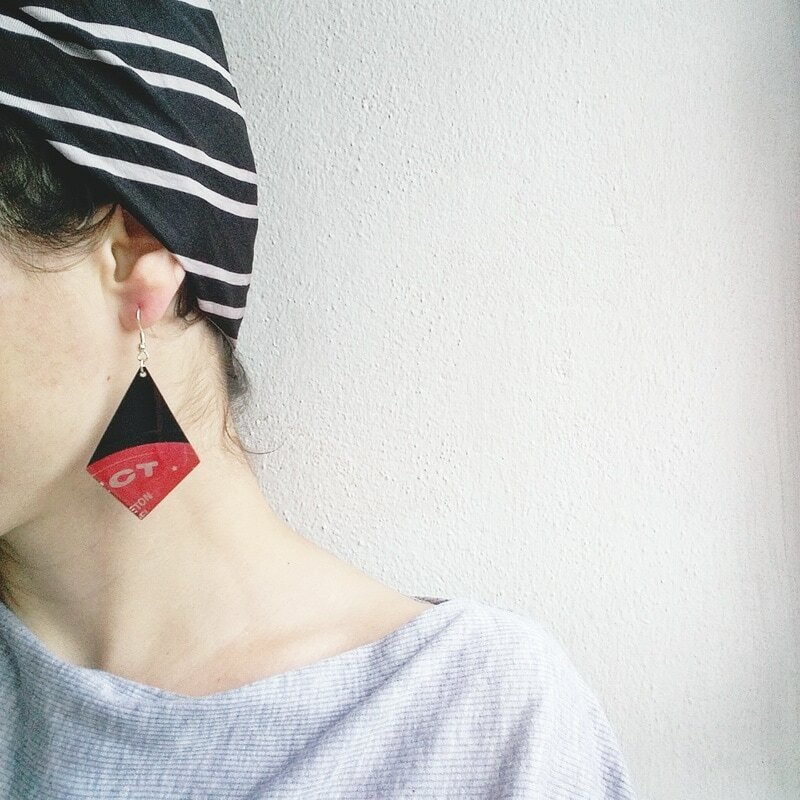 From the sketch book to the work table, these are all my own original designs. 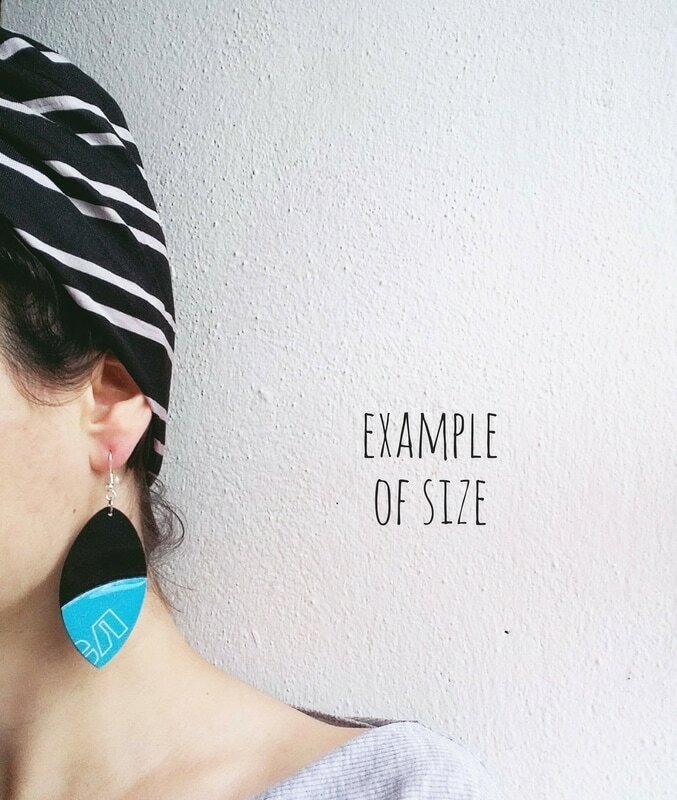 ▷ When you place an order, your selection is sent in a variety of tones. 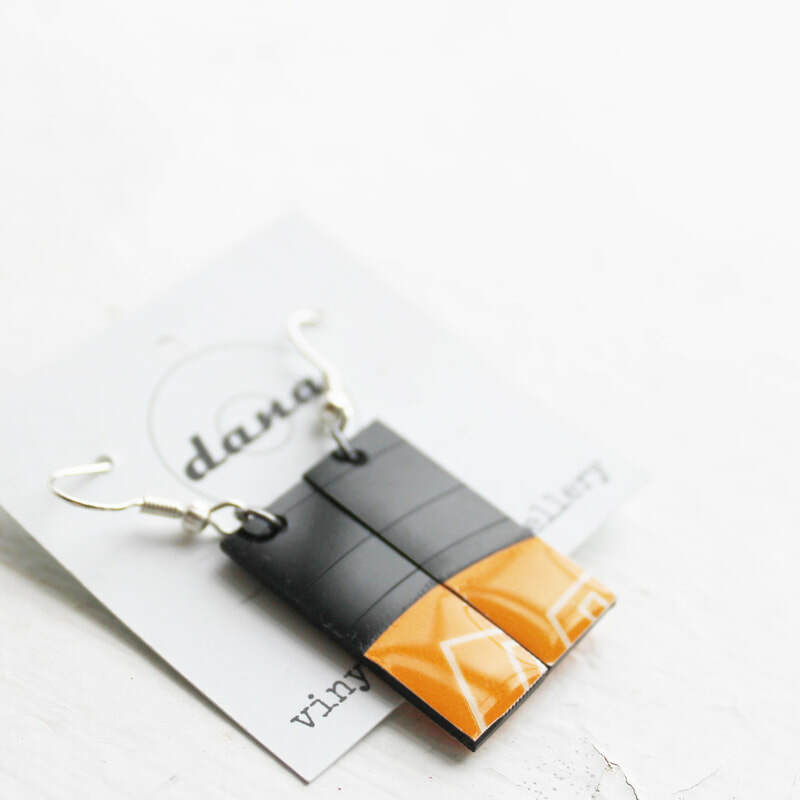 ▷ When you place your order, your selection is sent in a variety of colors. 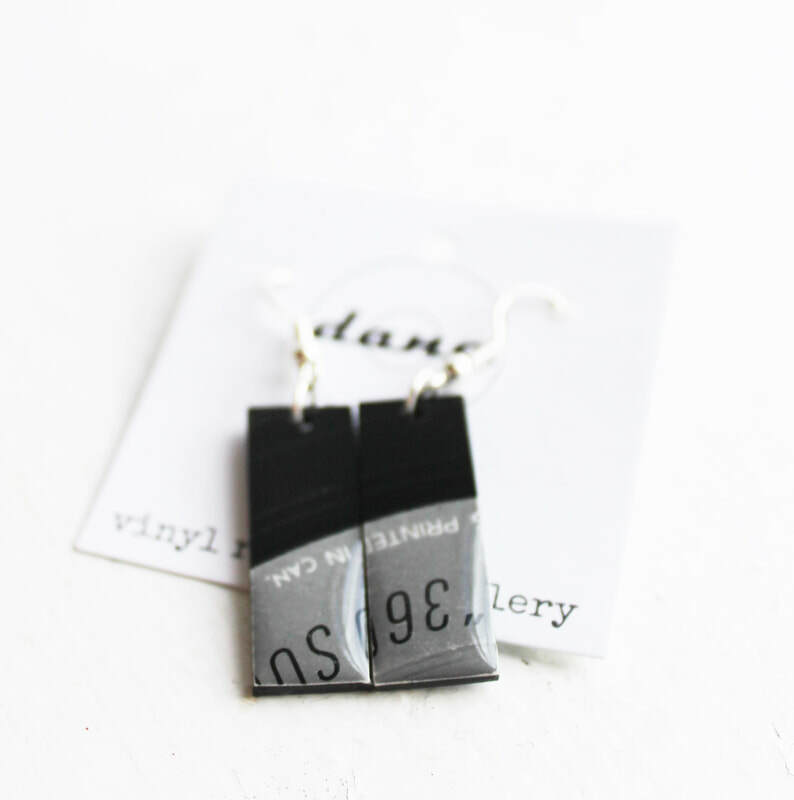 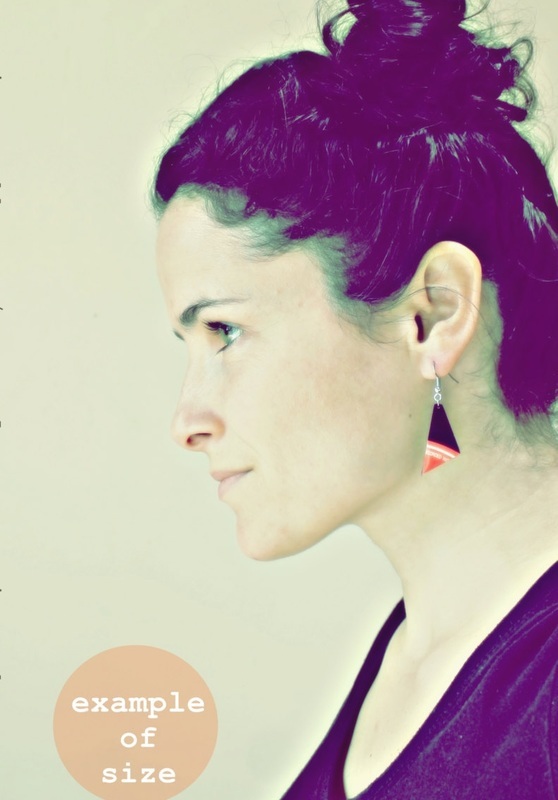 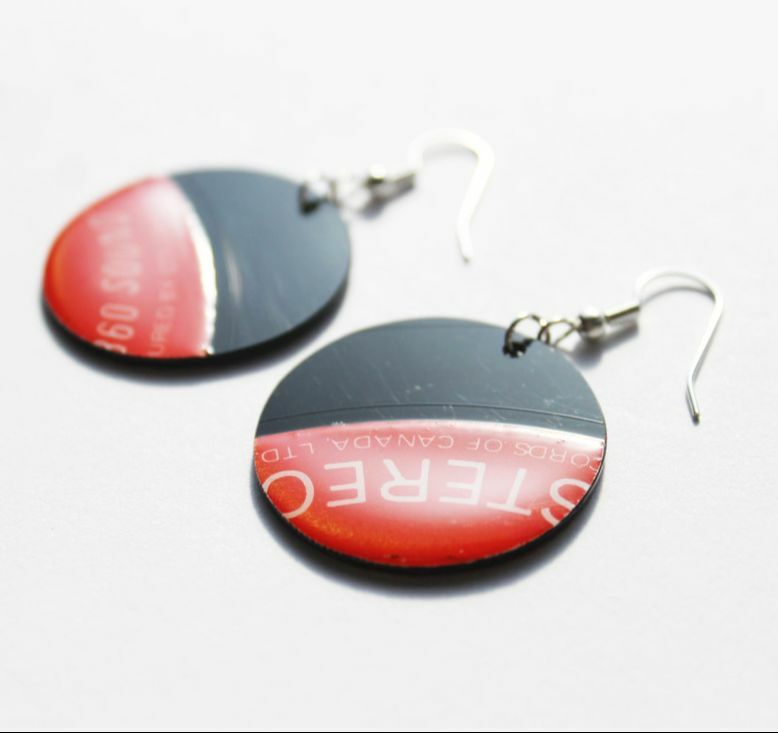 ▷ The earrings show words and/or designs and/or logos from the original record labels. 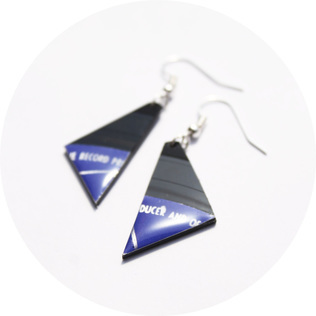 ▷ The front label parts of the earrings are coated with a layer of high quality transparent glass like resin. 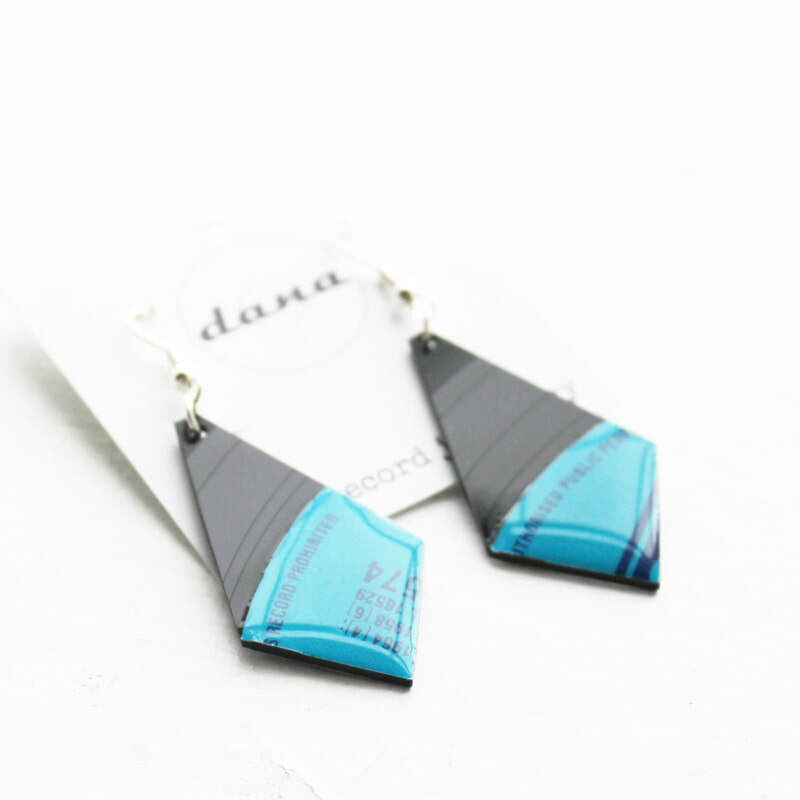 The backs are left untouched so the original material can be appreciated. 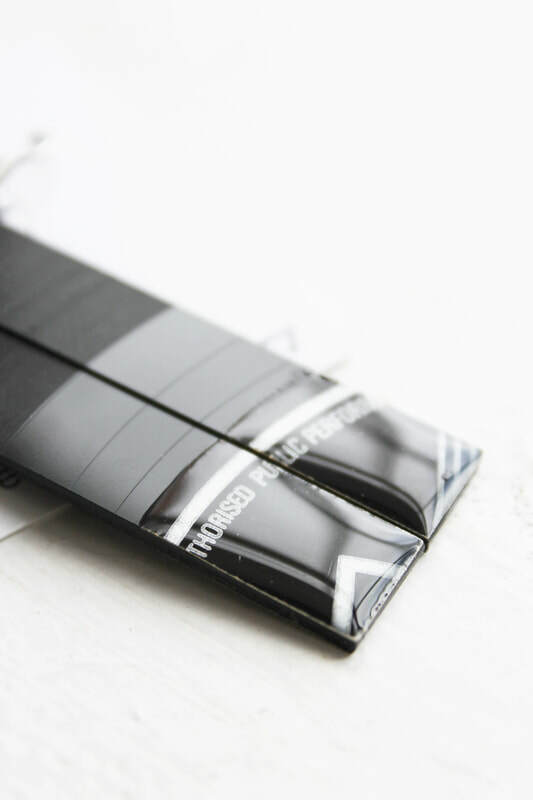 ▷ The hooks are lead free and nickel free silver plated surgical steel, a hypoallergenic material. 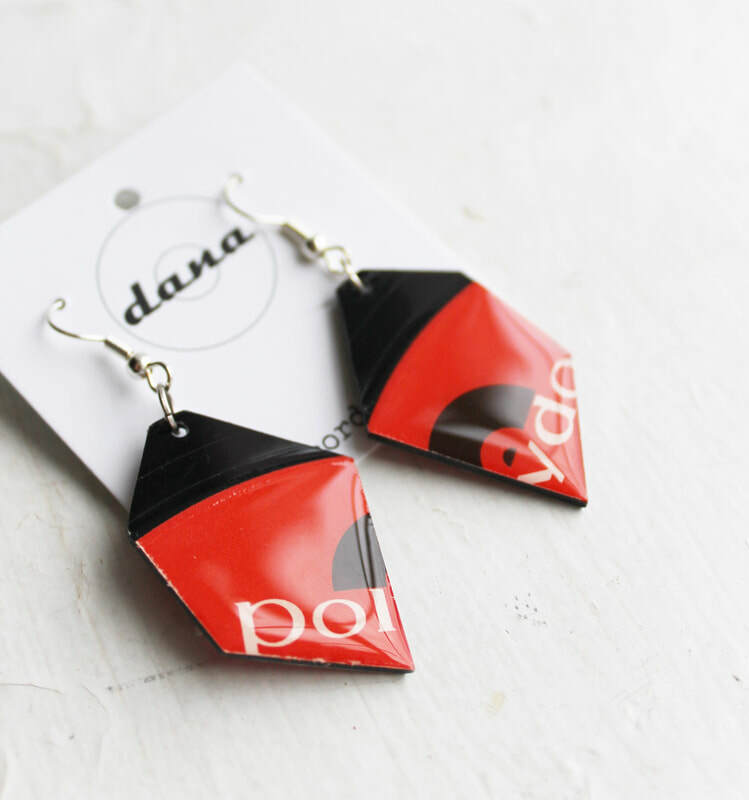 ▷ Each pair comes on a card featuring logo and details. 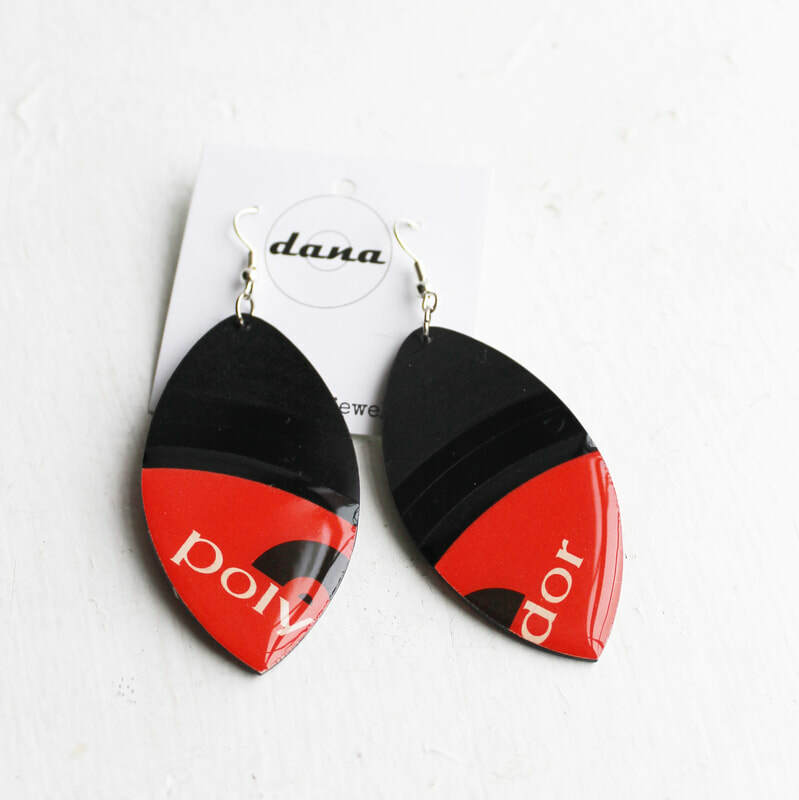 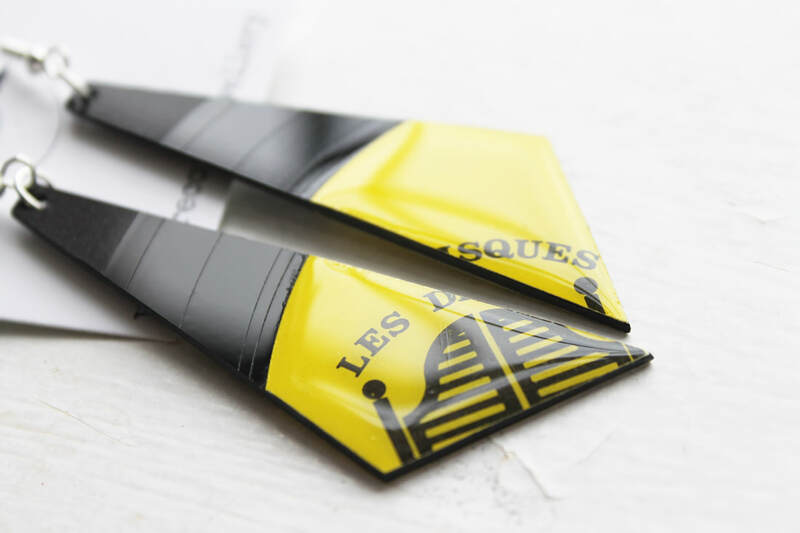 ​▷ The earrings come with rubber safety backs.